Residential Archives - Page 2 of 2 - Tait & Associates, Inc. When it comes to housing developments, we strive to be the best. With years of experience in subdivision mapping, surveying, and civil design, we work to maximize land area and minimize infrastructure costs. Iconic, master-planned residential communities like Columbus Square in Tustin, CA and The Sonoma Luxury Apartment Complex in Porter Ranch, CA are just a few recent projects that showcase the talents of our design team. 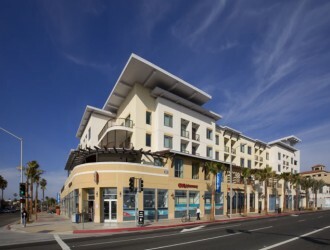 The Strand is an iconic development located across the street from the Huntington Beach Pier in Southern California. The development includes over 200,000 square feet of mixed-use space including a 152 room hotel, along with restaurant, retail and office space. TAIT provided civil engineering services for the project which required redevelopment of a downtown two block area, a complete infrastructure rehabilitation, and extensive integration to the existing drainage system. 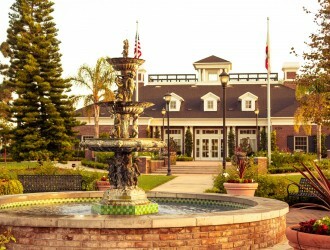 Sonoma at Porter Ranch is a luxury apartment complex located in Porter Ranch, CA. TAIT was tasked with providing civil engineering services for the 10 acre development which includes 398 units. 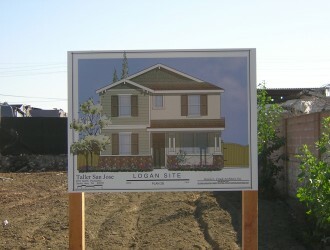 The Hope Builder’s Inc. affordable single-family housing project in the historic Logan barrio of Santa Ana was a project geared to refurbish a deteriorating neighborhood, and to provide affordable housing to those in need. TAIT provided all of the civil engineering services for the development.